I have already reviewed Clarins eye shadows from their summer collection but I have two more products to share about. 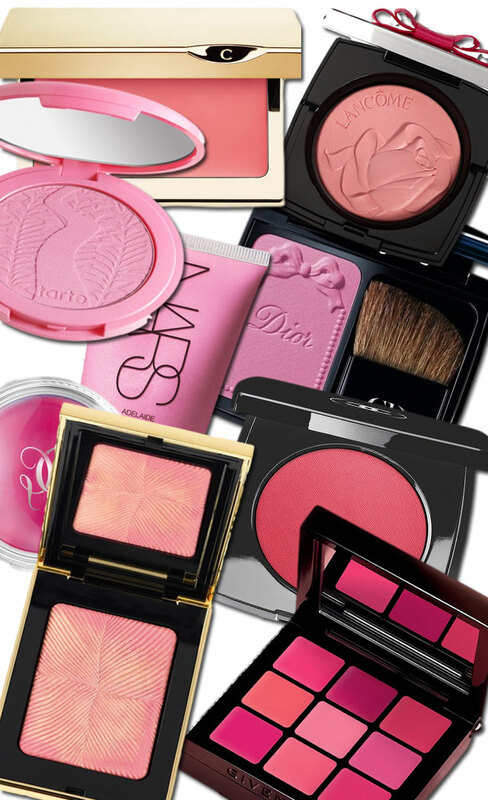 The product that I really love is Clarins Blush & Bronzing Compact (£30). It is absolutely huge, comes in a nice packaging and with a decently sized mirror. 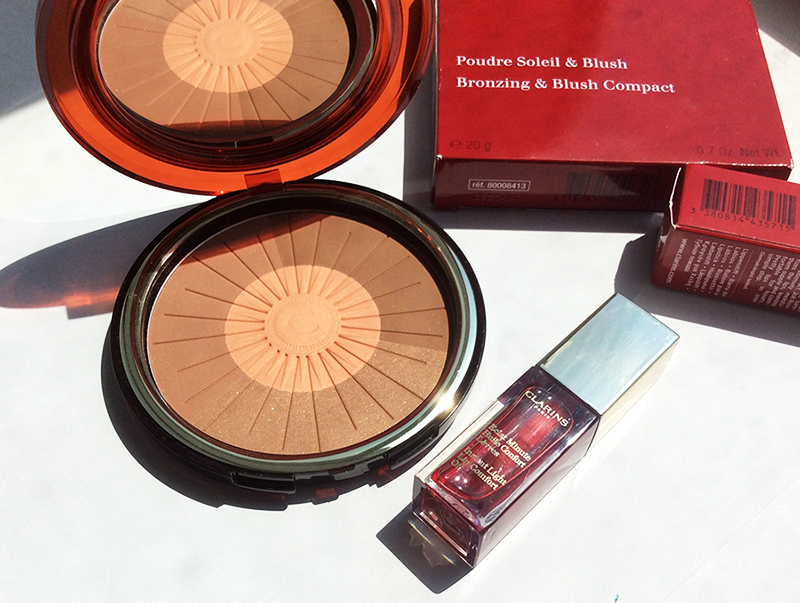 You get three shades of bronzer with one being shimmery and two – matte, there is also an apricot blush. You can use each shade individually, or mix. 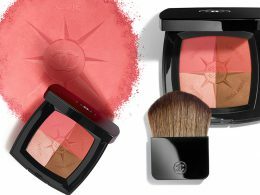 The texture of the blush is softer than the texture of the bronzers so when products are mixed together they give you that nice luminous glow and created that sun-kissed effect. This bronzer actually made it to my monthly favourites. Although I have pretty light skin tone, I don’t find it to be muddy or too orange on me. But I use it lightly, obviously. Finally I am writing about my 2013 favouries. 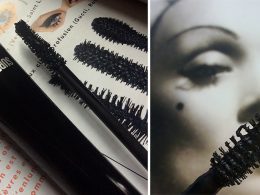 You can read about my 2012 makeup favourites here. But there are quite a few products that I want to mention, so I’ve decided to divide it into several posts, not to make it too long. 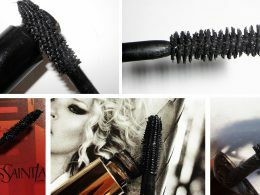 So the first part is about makeup products for the face. And I did not want to include a product in each category, but wanted to mention the products that stood out to me. The last thing that I have to mention – I have dry sensitive skin, and the age group is 25-30. This was the BB cream of the year for me. 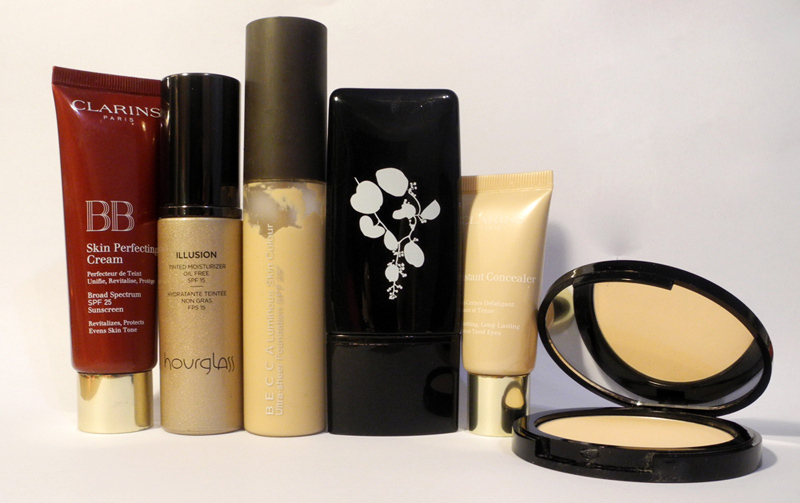 The base that I wore almost all the summer, it was a great match for my tanned skin. It feels light on the skin and gives a medium coverage, plus smells really nice. At first I wasn’t a huge fan of this product, but now I use it whenever my skin needs some glow and luminosity, and there is no need for the highlighter. It gives a very good coverage for a TM, I personally don’t even need a concealer. This is a discovery of the year. 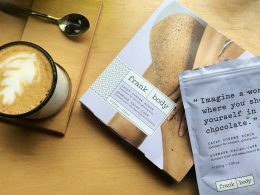 This foundation gives a very light coverage and has an almost fluid texture, so suitable for the days when your skin looks nice but you want to even out the complexion. 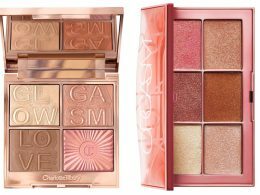 Pink is the colour for Spring 2014, a lot of beauty brands have at least one rose-tinted product in their seasonal release. And it’s not a surprise, what other shade can perk up your complexion and make it look fresh and youthful? 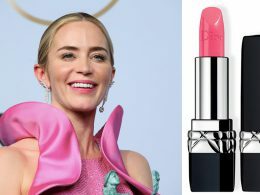 Even the promo photos of the leading luxury beauty brands [YSL, Givenchy, Lancome, Burberry, Dior, Guerlain] give us an inspiration on how to wear pink, which is always feminine and classy. 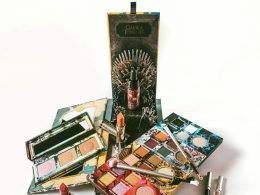 And with all the variations of this prettiness, colour and texture wise, every girl, no matter what age and skin tone, can find a suitable product. I wanted to get a new cleansing milk/toner for the times when I don’t have time to do a “proper” cleanse, so realized that I never got around trying Clarins One-Step Facial Cleanser with Orange Extract. 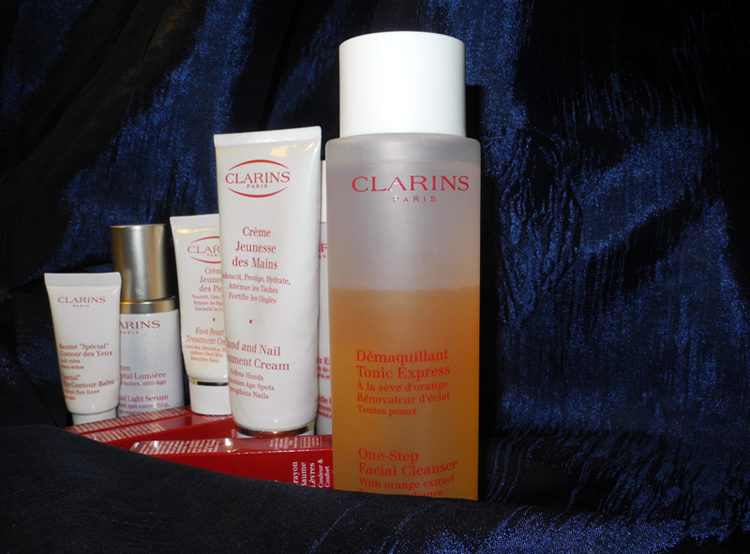 So, off to the Clarins counter I went. For some reason, the sales assistant (and she is a very lovely girl, and knows me by now, of course) couldn’t understand which product I was talking about, and showed me all the different cleansers. Why am I telling you that? a) the girl told me that I know Clarins products better than she does. Not gonna lie, that was a lot coming from her. b) I have realized that I have tried all the cleansers & toners she showed me, so it’d probably be a good thing to make a Clarins toners/cleansers guide. What do you think? But back to the cleanser itself. It is so good! Sometimes it feels really weird that I love makeup. My Mum couldn’t care less about it, and I did not really read glossy magazines or watch beauty shows on TV growing up. (I did do it all but it was when I already knew that I love all things beauty). My Mum did have quite a few lipsticks and a mascara but she was not obsessed with all those things and wore makeup only for special occasions. She did like perfume though, as long as I remember. So I’ve decided to ask her what makeup products she truly loves. And since I’ve mentioned perfume – her most used one these days. Before I start I have to mention that she does use foundation and mascara occasionally but she doesn’t really have a favourite and would just use whichever [I give her]. 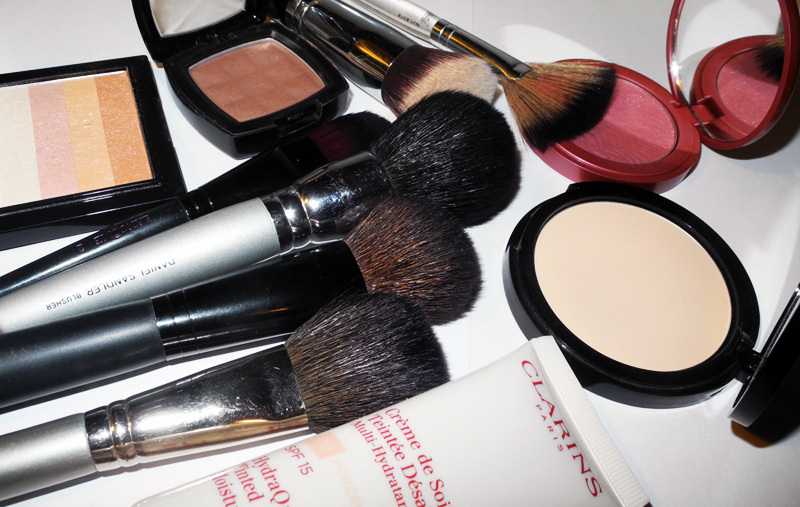 However, the products shown above she loves and uses on a regular basis. 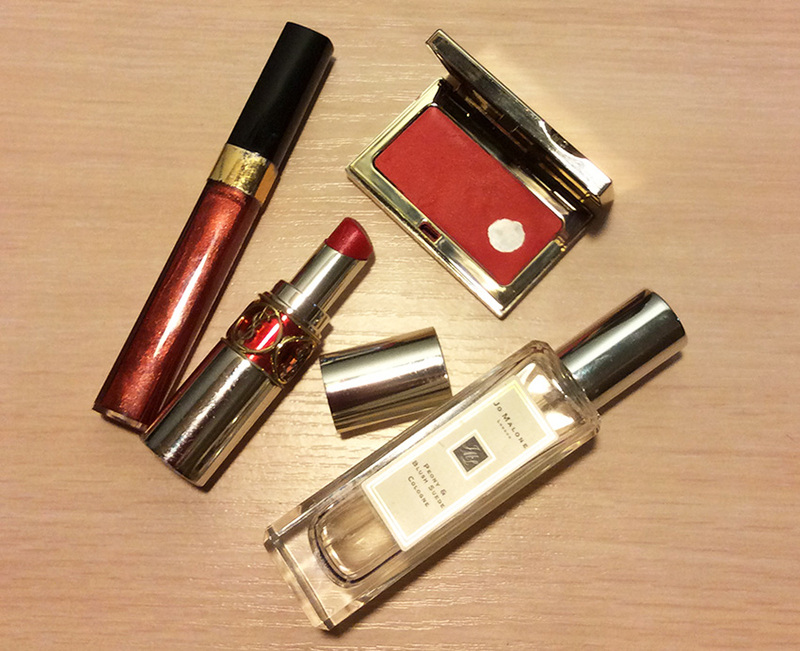 As you can already guess, Mum’s favourite makeup product is a lipstick. She has a fair complexion with dark eyes and very dark hair so bright reds and berries look amazing on her.